This crochet pattern gives you the instructions, so that you can make a newborn lace shell dress and your choice of closed or tie back headband with little flower. Made with a soft super kid mohair and silk blend lace weight 2 ply yarn. This crochet pattern gives you the instructions, so that you can make a newborn lace shell dress and your choice of closed or tie back headband with little flower. Please keep in mind that due to small parts all children should be monitored while wearing. fdc: foundation double crochet – photo tutorial on my blog. Please do not copy, resell, rewrite or redistribute this pattern or any of the pictures as your own or in any other form. 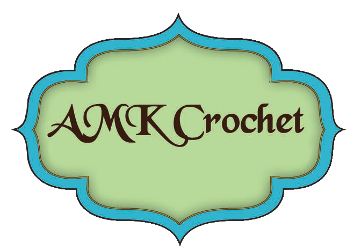 This pattern and all photos from AMK Crochet and Alyssa Rae are copyrighted and cannot be used without written consent. You are responsible for your finished items, please monitor children while wearing items. You may sell finished items made with this pattern, but must include a link back to my store, www.AMKCrochet.com. You can check out my blog to get tips, tricks, and free patterns! ***** You are responsible for your finished items. This photo prop can be a choking and strangulation hazard for children under 3 years old. Please monitor all children. This dress is meant to be a photography prop. Do not leave babies unattended with dress or headband.